I will pick the best question for each mailbag and label it as my question of the week. The winner gets a free HCS Koozie to keep your beer cold (Unless you like it warm, but that’s just plain wrong). It was busy question day which tells me that this mailbag is working harder than me at my day job. Unlike the “Big 12 blog” over at ESPN (I say that loosely because one story a month is a tragedy), we here at HCS are determined to give you the best Big 12 coverage on the planet. I want to thank each one of you who submitted a question this week and for those reading, I am glad you could join me. Before I begin, I just want to congratulate the Texas Tech men’s basketball team for their great run this season. Making it all the way to the National Championship game when you were picked seventh to finish in your own conference? That’s something to be proud of. 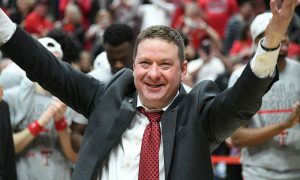 Hats off to Chris Beard and his team. On to the mailbag! @mundodelovoide asks: What are your thoughts on the projected Oklahoma Sooners first team offensive line? 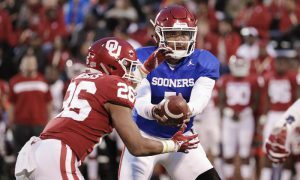 Duke: I went over this in my Oklahoma spring preview awhile back. I am still going to stick with that same answer right now (Except for Center Creed Humphrey who is out for the spring). So here is my projected first team offensive line for the Sooners if the season started. RT: Adrian Ealy, RG: Marquis Hayes, C: Creed Humphrey, LG: Tyrese Robinson and LT: Brey Walker. There is a lot of inexperienced guys here, but offensive line coach Bill Bedenbaugh is one of the best offensive line coaches in the country. 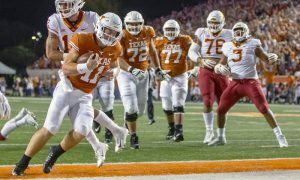 @DustyG10 asks: Is the Big 12 going away from the air raid? Tight ends becoming necessary at more schools in the conference. Think that helps with the defensive narrative at all? Duke: Plenty of teams will run some sort of “spread” offense although I would be curious to see what Kansas does. 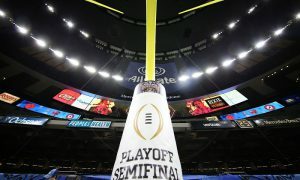 Now we all know about the other schools (Baylor, OU, Texas, OSU, ISU and TCU) but with some of these new coaches coming in it will be interesting to see. Iowa State doesn’t sling it all over the yard and Kansas State traditionally was never like that either under Bill Snyder and likely won’t with new head coach Chris Klieman who ran a pro-style run heavy offense at NDSU where he won plenty. Neil Brown at West Virginia is a good offensive mind, but I wouldn’t put him above Dana, and I would expect the Mountaineers to run the football more this season. The same goes for Kansas who I mentioned above. No clue what they will do but Les Miles teams aren’t exactly known for their offense if you know what I mean from his days back in Baton Rouge. The one exception for me is Matt Wells at Tech. With Alan Bowman as his quarterback, I think Tech will still throw the football plenty with Yost as OC there. As far as tight ends go, you may see more but that will have to be a gradual change as time goes on. But make no mistake, this is still an offensive league without a doubt. Will the defense get better? I can’t really say but the numbers might say yes, this season but there are some good quarterbacks in this conference and as always in the Big 12, you usually go as far as your quarterback can take you. 2019 will be fun but I think in 2020 we could be comparing the group of quarterbacks to that fantastic 2008 group. 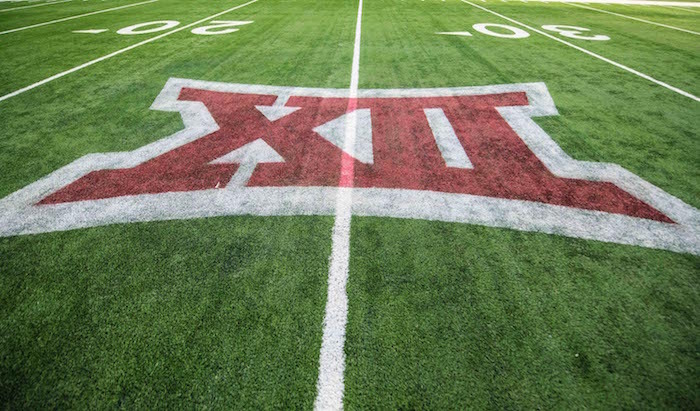 @Chrissboom_ asks: Biggest concern for each Big 12 team going into the fall? Duke: I could do an entire article on this, but I did manage to cover a few of these during our spring preview series. @RPTexan asks: What are your expectations for Matt Wells first season in Lubbock? Duke: I really like quarterback Alan Bowman. I am very high on him and if he is healthy, this offense will be fine. The offensive line is back, and I truly expect WR T.J. Vasher to have a huge season. Again, I don’t worry too much about the offense except for the health of Alan Bowman. Defensively, I do have some concerns. The secondary will return some guys like DaMarcus Fields, Adrian Frye and Octavious Morgan. Not to mention Jordyn Brooks (Who is extremely underrated in the Big 12) at linebacker. But Texas Tech needs to find some help on the edge to rush the passer. Texas Tech had only 28 sacks last season and with Kolin Hill and Tony Jones gone, someone must step up in that department. I can see Texas Tech going 7-5 this season under Matt Wells. @RobbieDNA asks: Which new Head Football Coach will make the biggest impact? Duke: I am going to assume you mean right way? If that’s the case I am going with Les Miles at Kansas. Now I think they will finish 3-9 this season but go look at the recruiting trail. I go to camps (Nike, Under Armour etc.) and kids know about Kansas and Les Miles. Two years ago, if I brought up Kansas football to a kid with an offer, he wouldn’t have the slightest interest in that offer. 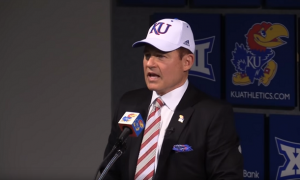 Les brings a name value to that program that David Beaty just didn’t have. Like I said, it may not pay off this season but if Les is there, kids will have interest in that program because its not everyday you can be coached by a guy who won a national championship. In fact, he is the only head coach in the Big 12 who has won a national championship at the FBS level. So as of right now, give me Les Miles at Kansas. 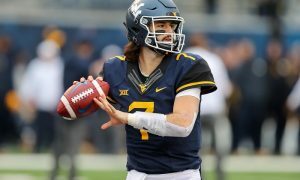 @cliffaworkman: Who do you see taking the starting QB spot at WVU? Also, do you see WVU as a run first offense in Neal Brown’s first year since we are loaded with a talented backfield? Duke: To nobody’s surprise, I have Austin Kendall winning the starting quarterback job. Not sure how long the competition will be dragged out but I think Kendall gets the start on opening day. 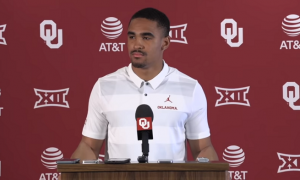 He is talented but sitting behind two Heisman winners hasn’t done him any favors when it came to playing time at Oklahoma. Now as for the offense, I think WVU will be more balanced under Brown. Just two seasons ago Troy was a top 30 passing team in the country so he isn’t afraid to sling it around but last season his team was 58th in rushing compared to 81st in passing. Under Dana, it wasn’t even close. They had a top 15 passing offense the past two seasons while not finishing in the top 75 (2017 & 2018) when it came to the ground game.